The Georgia pecan crop for the coming year looks to be a good one. 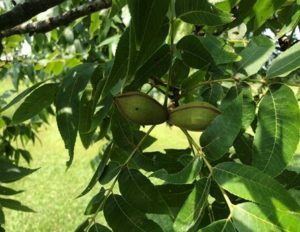 Desirable pecans suffered a worse than expected early nut drop, however volumes are expected to remain stable. Stuarts continue to look strong. On the downside heavy rain and moisture has increased disease and insect pressure requiring increased spraying to control the orchards. Early current crop estimates for the 2018 Georgia crop is approximately 110 to 120 million pounds, in comparison to last year 2017 Georgia crop was only 100 million pounds. The imposition of tariffs between USA and China is causing a great deal of uncertainty over volume and pricing for pecan growers. Growers are hoping for a resolution before the beginning of the fast approaching harvest season.